So you've been looking for a restaurant in the Valley on Ventura Blvd? Look no further...this is a Great Find! This Beautiful Restaurant is less than 3 yrs old with all equipment new upon opening. 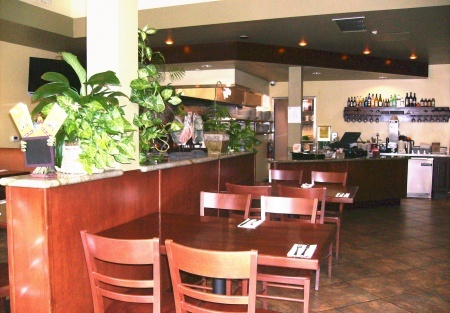 Located in a highly desired area on a very busy section of Ventura Blvd in Tarzana, this restaurant has an under-marlet lease of UNDER $1.58 per foot which includes CAM (YES that is ONLY $3,150 a month on Ventura Blvd!). This will afford you the ability to reach a profitable return quickly. This restaurant is ready to go for many different food concepts. Continue with the current concept or introduce your own. With very little effort you will be up and running in no time. The restaurant is open and has all the permits/licenses required to operate, a fully equipped kitchen, large hood vent and well maintained equipment. Why take over a closed down restaurant and deal with the Los Angeles County headaches bringing the space current to city/health standards by having to obtain building permits plus the headaches of passing the health department’s critical standards when this restaurant is turn-key as it stands. (Note: Depending on the new food concept additional upgrades may be required. Buyer must get a health inspection prior to closing escrow and there are no guarantees the restaurant will comply with all current standards). Go to the Orange Button below to get more information and SEE PICTURES for yourself.